Started in 2014, Dragonara Casino has maintained high levels of professionalism in its dealings. The Casino offers players with a terrific selection of slots and games. 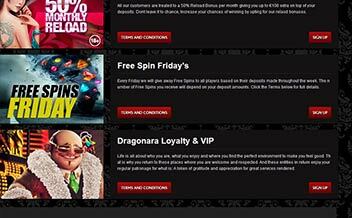 The Casino is owned and run by Dragonara Interactive Limited Casino and is licensed by the UK Gambling Commission and the Malta Gaming Authority. Throughout the four years that the Casino has been in business, there have been improvements and adjustments that have been geared towards improving the gameplay and functionality of the interface. The Casino boasts of one of the most diverse selections of games, solid customer support, incredible bonuses and promotions, and strict SSL security encryption. Dragonara Casino offers both new and existing players with a range of bonuses and promotions to keep them enticed. To usher you in, the Casino gives you 100% match up to €200 plus a further 50% reload bonus twice a year. The Casino also runs a promotion every Friday that seeks to give out free spins to players based on their deposits throughout the week. To withdraw the bonus and winnings, players must wager the amount 35 times. 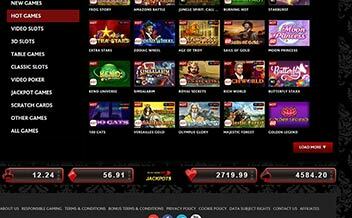 The Casino also has a loyalty and VIP program that seeks to reward the loyal players. 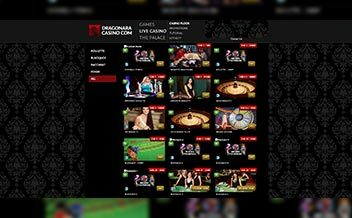 Dragonara has a selection of slot games that are tailored to meet the ever-changing needs of the vast market. The developers have made sure that there is something for everyone in this section. Some of the available games include Cleopatra, Mama Mia, Starburst, Dragon Ship, South Park, Enchanted Meadow, among others. The Casino also has a rich collection of table games for players to try their luck in. The games are developed with the clientele needs in mind. Some of these games include Casino Hold’em, Baccarat variants, Blackjack variants, and Roulette variants. The Casino has one of the most incredible assortment of Video Poker games. The games in the section are tailored uniquely to ensure players can enjoy their favorite games regardless of their pocket size. Some of the games include Bonus Deuces, Bonus Deluxe Poker, Tens or Better, Deuces Wild, among others. The Casino is powered by some of the best software developers in the online gaming world. The collaboration between these developers has seen the Casino provide players with cutting-edge game offerings on an instant play interface that promises smooth play on all the platforms. The developers include NetEnt, Euro Games Technology, IGT, and Play’n Go. The United States, Italy, France, Spain, among others. Bank Wire Transfer, Visa, MasterCard, Switch, Trustly, Skrill, VisaDebit, Speedcard, Swedbank, Maestro, Instant Bank, Neteller, Postepay, Instant Bank, Fast Bank, among others. US dollars Euros, Australian dollars, Australian dollars, Bulgarian leva, Polish zlotys, Chinese yuan, South African Rand, Romanian Lei, Czech Republic Korunas, Polish zlotys, Russian rubles, among others. Dragonara Casino is an entirely instant play Casino which is a great perk for players as it allows them to enjoy their favorite games from the comfort of their home. The Casino’s software also runs on major web browsers such as Internet Explorer, Chrome, Opera, and Mozilla. Dragonara Casino boasts of its affiliation with the Malta Palace Casino as well as the integration of some of the best software developers. The Casino has a wide range of slots and games, amazing welcome bonus and VIP club, as well as SSL encryption. Join the Casino today!